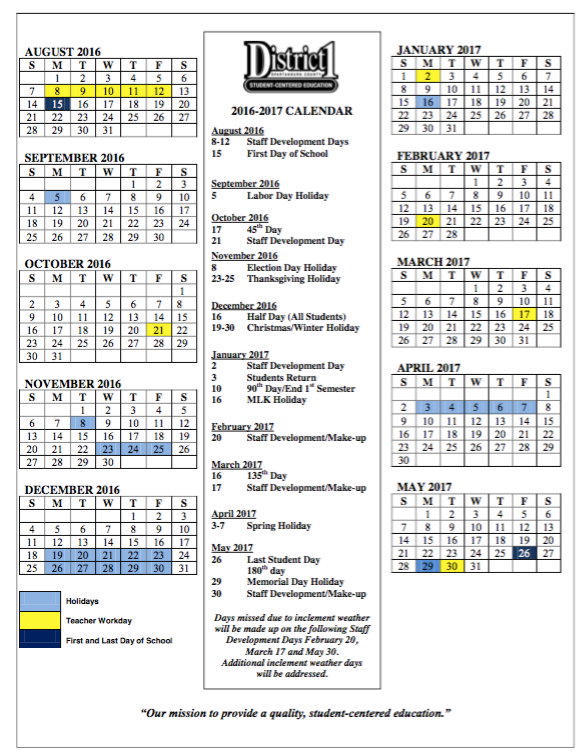 Welcome to the 2016-2017 school year! We are off to a great start and are looking forward to many great things to come. As we embark on our District One journey, we invite parents and community members to learn more about our schools by visiting our updated district website, www.spart1.org. 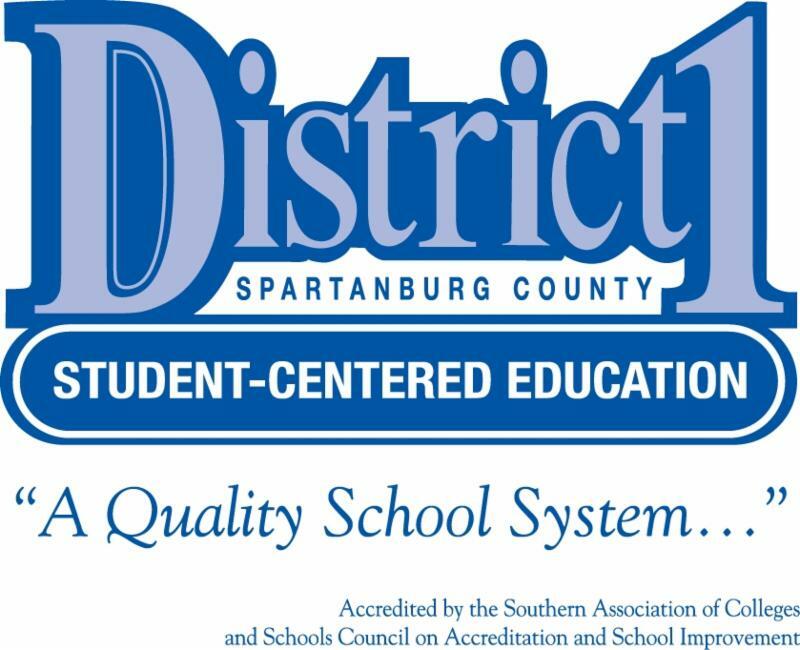 We also encourage parents to download the Spartanburg District One mobile app, and connect with us on Facebook and Twitter! • More than 1,500 students had a safe school bus ride to and from school. Our buses cover an average of 1,000 miles each day! • More than 4,000 students were served a healthy breakfast or lunch (or both!) at school today. Our cafeteria staff is amazing and take such pride in keeping our students fed! • Our schools were clean and our grounds were beautiful. Our maintenance and custodial crews spent the summer making sure floors were waxed, buildings were in tact, and our grounds were well maintained. • Front office staff greeted and assisted students and parents who had questions throughout the day with cheerful smiles and attitudes. 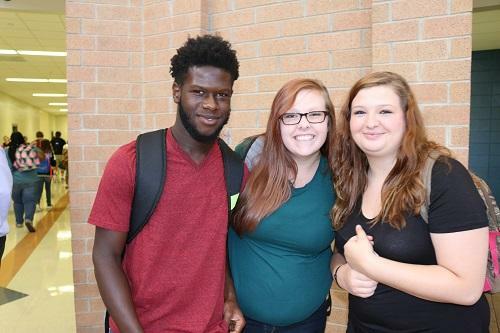 • Our teachers, principals and other professional staff greeted students, helped them find their classes, and did an exceptional job of orienting students to their new classrooms. Many teachers spend much of their summer preparing for the next school year so that things start off smoothly and positively for their students. 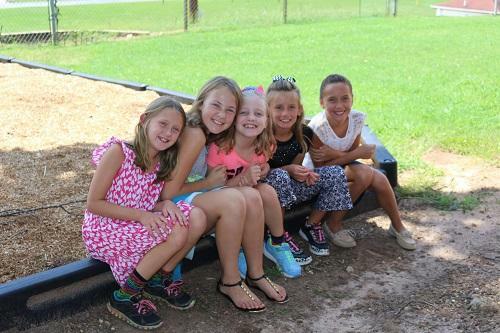 • District administrators, principals, and Board Members spent a great deal of time over the summer making sure the district was focused on how to best provide D1 students with a quality, student-centered education. The coordination of over 5,100 students, 1,100 staff, 10 school buildings, and 1 career center does not happen by accident, it takes a great deal of collaboration and attention to detail! Thank you for a wonderful ‪#‎Day1inD1‬! 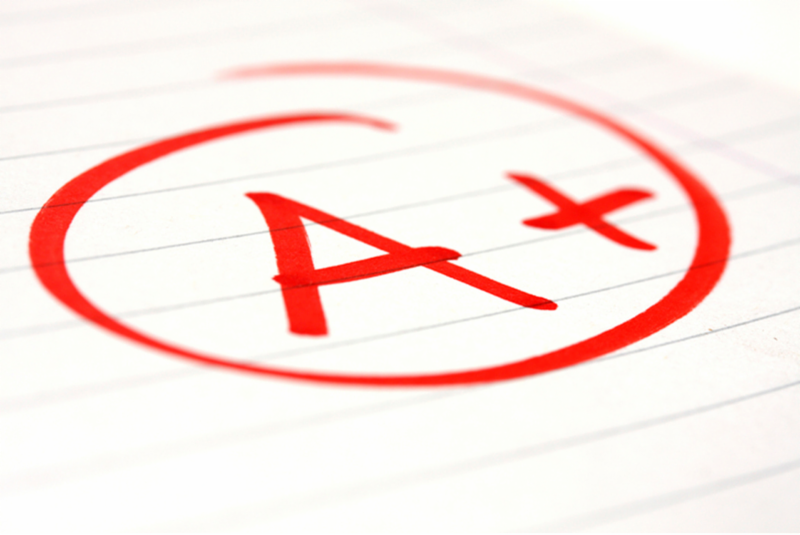 Did you know that SC has recently adopted a 10-point grading policy for all high school courses? 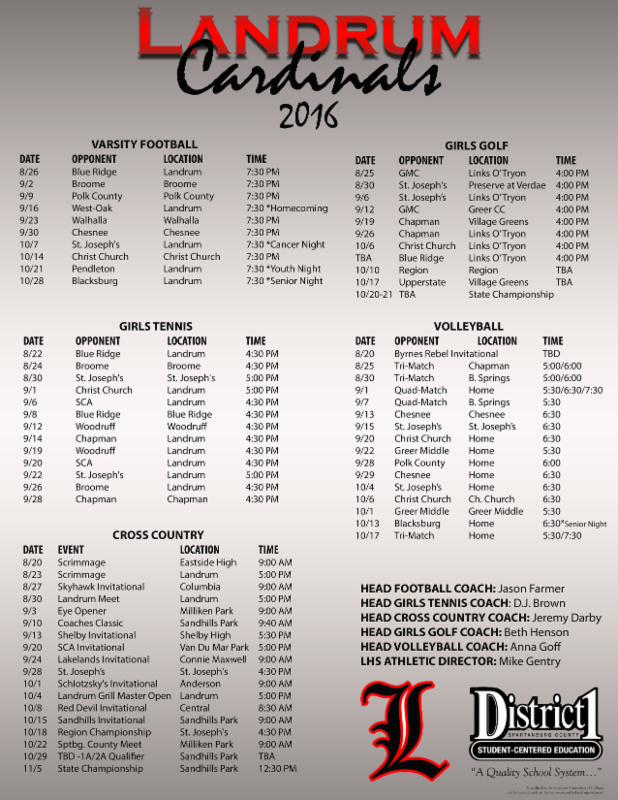 Below are links that will help answer any questions you may have! 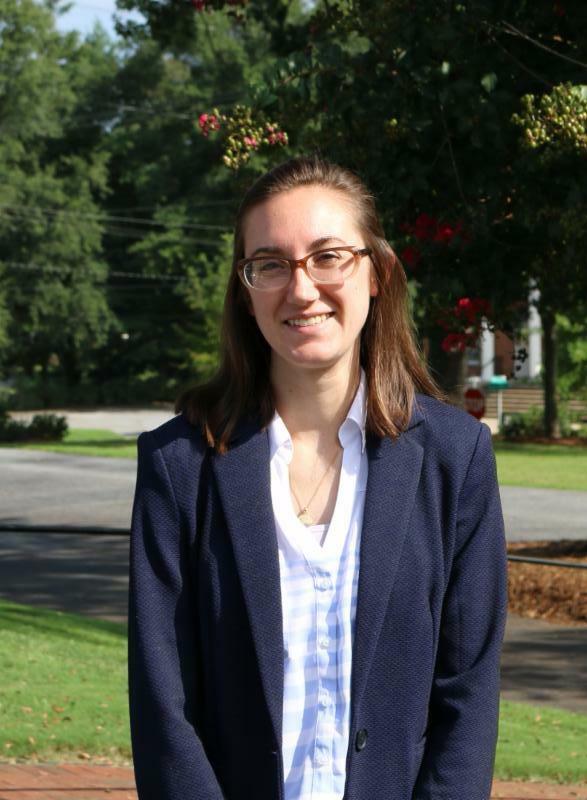 We are pleased to welcome our newest AmeriCorps VISTA member, Samantha Sloan, who will serve as the Coordinator of Health Fitness and Wellness for the 2016-2017 school year. 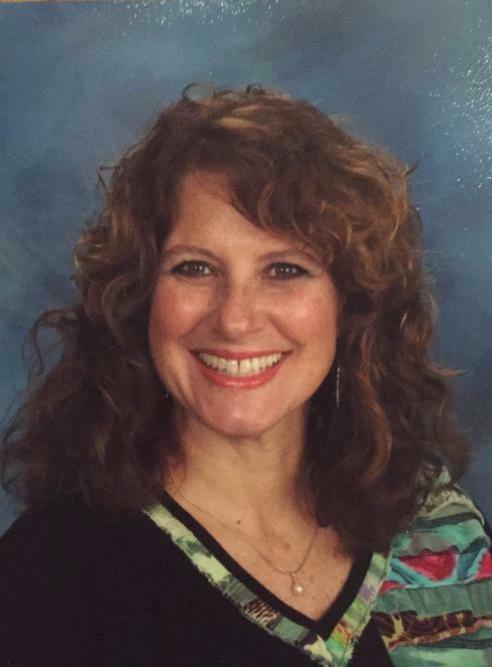 In this role, she will work collaboratively with all District One schools to facilitate and promote overall good health habits and wellness, as well as assist in the implementation of health initiative grants awarded by the Boeing Children’s Wellness Center. “I applaud the efforts of District One and fully support their cause to strive for wellness, because school health is ultimately where the process begins. 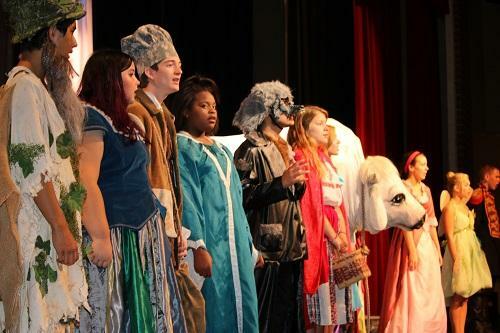 Children spend so much of their time and receive many of their life-shaping experiences in their school years. I believe a healthy lifestyle should be part of that experience,” she says. Sloan is a graduate of Adrian College in Southeast Michigan and received her Masters in Public Health from West Virginia University in May of 2016. As a VISTA member, Sloan has made a year-long, full-time commitment to serve at a nonprofit organization or public agency for a modest living allowance and limited health benefit options. Sloan says that AmeriCorps encourages their members to live on this stipend in order to fully appreciate a lifestyle led on a near-poverty level income and have the ability to offer first-hand advice to the community members in which they serve. VISTA members focus their efforts on building the organizational, administrative, and financial capacity of organizations that fight illiteracy, improve health services, foster economic development, and otherwise assist low-income communities. No computer? No problem! Chromebases are a new technology that you will see popping up throughout District One. What is a Chromebase you may ask? It is simply a Chromebook in the shape of a traditional computer. All D1 employees now have access to these convenient computer kiosks at every school which allows them access to email, files, internet, and more. 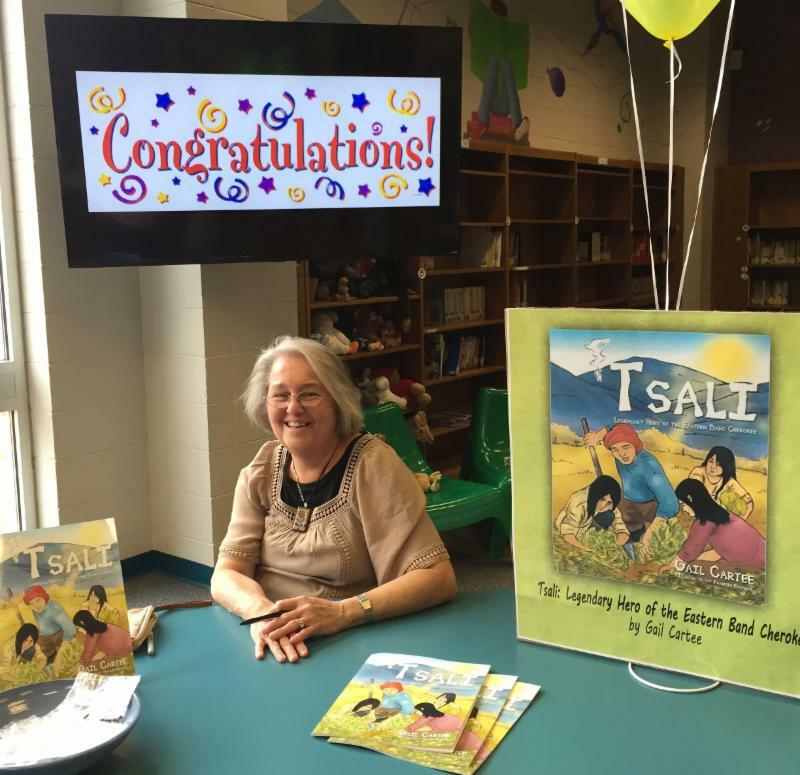 Gail Cartee, pre-K teacher at Inman Elementary, released Tsali: Legendary Hero of the Eastern Band Cherokee over the summer. Growing up, Gail heard her grandmother tell of her Cherokee ancestry. Always wanting to delve deeper, Gail voraciously read books about early American history, especially when it involved the Cherokee. 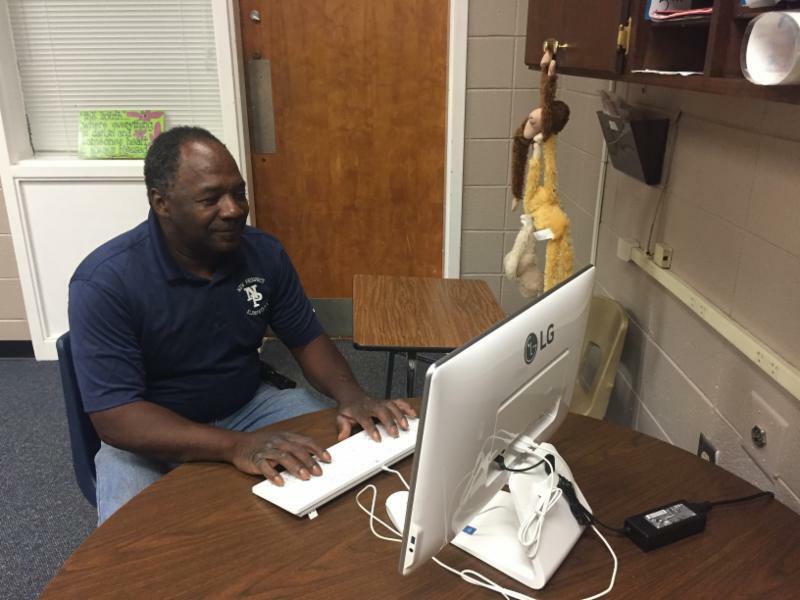 She never thought of herself as a writer until she became involved in a professional development series in conjunction with Spartanburg Writing Project. Gail spent time researching Tsali’s story only to find most of the history is oral tradition and legend. However without oral histories and legend, she feels we would not have our stories of Davy Crockett, Daniel Boone, and Johnny Appleseed and perhaps, it is Tsali’s time to take his place among the great American heros and legends. Gail’s story of Tsali has gone through lots of edits. She finally settled on a dual point of view, Tsali and his youngest son, John Charley. Gail hopes her book inspires a love of history and family, and the understanding that there is no greater love than sacrificial love. Gail is currently working on a book of Appalachian haiku for children four and older. 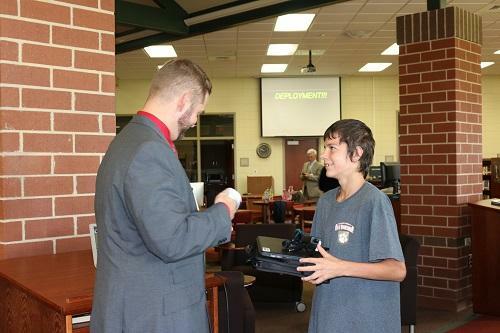 Chromebooks are continuing to roll out to D1 students as a continuation of our 1:1 Powers On technology initiative. 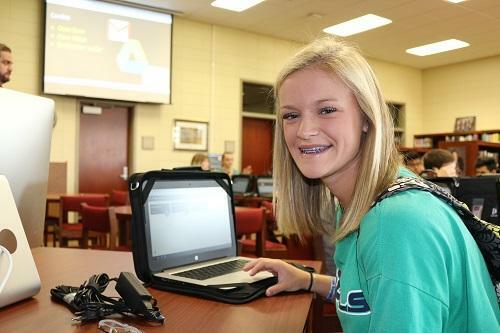 Students in grades 6-10 have been reissued Chromebooks from last year's initial deployment, while students in grades 11-12 are receiving their personal devices for the first time ever. 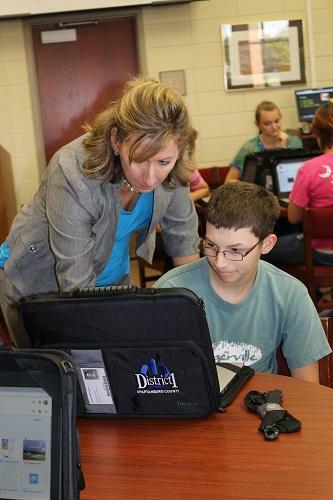 By the end of this fall, all 3rd-12th grade students will have their own personal devices. Want to know more about the Powers On initiative? Click HERE! If you love BBQ, this is an event you do NOT want to miss! 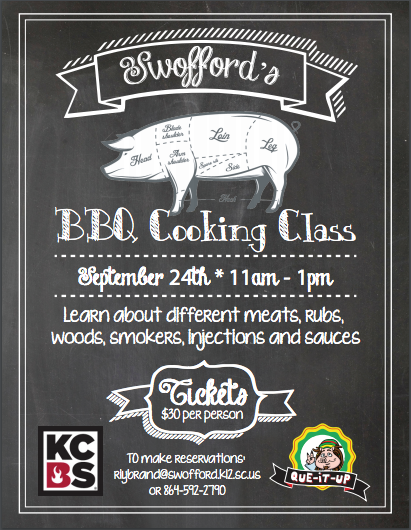 Our very own Swofford culinary arts instructor and competitive BBQ team owner, Robert Lybrand, will be teaching tricks used by master BBQ competitors, along with some helpful tips and information for people that just enjoy cooking at home! This event is open to everyone, so grab your tickets today! 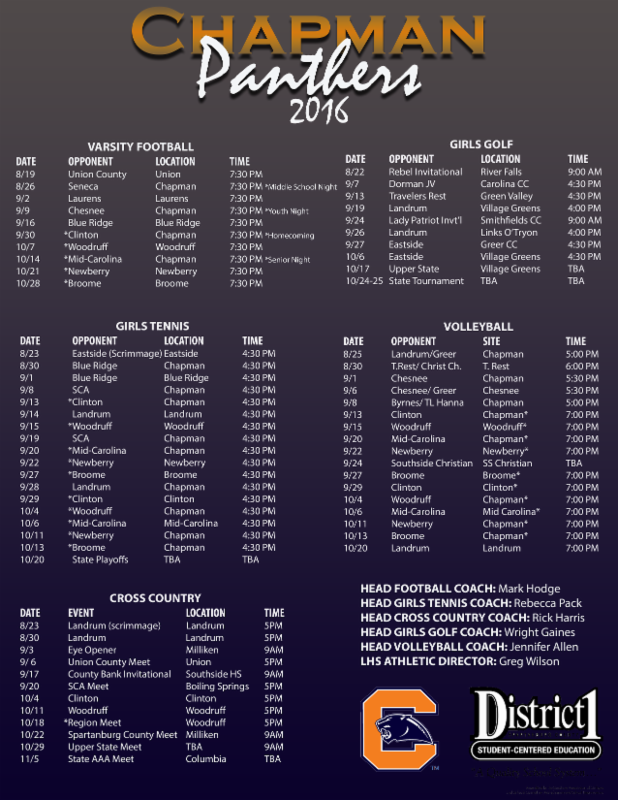 All proceeds will go to support the Swofford Culinary Arts Pro-Team. 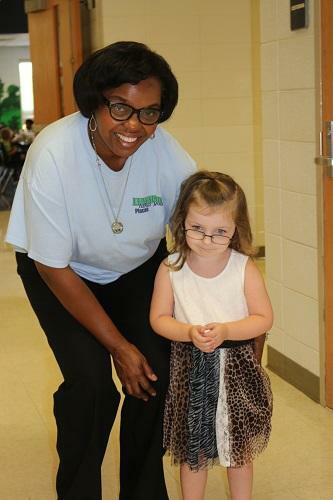 Lauren Thorne, teacher at New Prospect Elementary School, attended the 2016 Science P.L.U.S. Institute at Roper Mountain Science Center this summer. Thorne participated in a one week course focusing on Astronomy. Institute courses encouraged teachers to incorporate math and language arts skills into their science lessons and to look for opportunities to make science connections when teaching other disciplines. A major goal of the Science P.L.U.S. Institute was to provide teachers the resources needed to do hands-on science activities with their students. Each participant received science materials and supplies to duplicate lessons learned. New skills, enhanced content knowledge, and tested ideas shared by other teachers enable Science P.L.U.S. 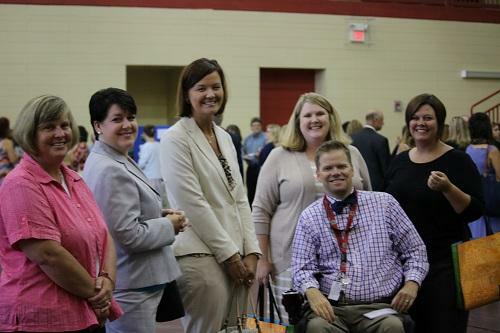 participants to return to their classrooms with confidence and renewed enthusiasm for science instruction. 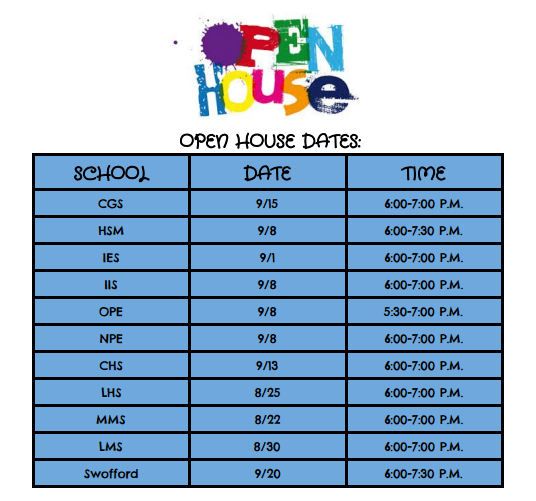 Be sure to mark your calendars for OPEN HOUSE!